TRANSMISSION: 4-SPEED AUTOMATIC VLP (STD), QUICK ORDER PACKAGE 22D AMERICAN VALUE PACKAGE -inc: Engine: 2.4L I4 DOHC 16V Dual VVT, Transmission: 4-Speed Automatic VLP, PITCH BLACK CLEARCOAT, GVWR: 5,005 LBS (STD), ENGINE: 2.4L I4 DOHC 16V DUAL VVT (STD), Wheels: 17 x 6.5 Steel, Vinyl Door Trim Insert, Valet Function, Urethane Gear Shift Knob, Trip Computer. This Dodge Journey has a dependable Regular Unleaded I-4 2.4 L/144 engine powering this Automatic transmission. * Experience a Fully-Loaded Dodge Journey American Value Pkg *Transmission w/AUTOSTICK Sequential Shift Control and Oil Cooler, Towing Equipment -inc: Trailer Sway Control, Tires: P225/65R17 BSW A/S Touring, Tire Specific Low Tire Pressure Warning, Tailgate/Rear Door Lock Included w/Power Door Locks, Systems Monitor, Strut Front Suspension w/Coil Springs, Steel Spare Wheel, Speed Sensitive Variable Intermittent Wipers, Single Stainless Steel Exhaust, Side Impact Beams, Sentry Key Engine Immobilizer, Remote USB Port, Remote Keyless Entry w/Integrated Key Transmitter, 2 Door Curb/Courtesy, Illuminated Entry and Panic Button, Redundant Digital Speedometer, Rear Cupholder, Rear Child Safety Locks, Radio: Uconnect 4.3 AM/FM/CD/MP3, Radio w/Seek-Scan, Clock, Speed Compensated Volume Control, Steering Wheel Controls and Radio Data System, Proximity Key For Doors And Push Button Start. * The Experts' Verdict...*As reported by KBB.com: If you want a new SUV that seats up to seven but you don't want to spend a lot of money, the Dodge Journey could be for you. If you can swing a few thousand more for a higher trim, a V6 Journey with Chrysler's Uconnect infotainment system is especially appealing. 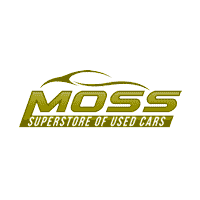 * Visit Us Today *A short visit to Moss Used Super Store located at 1545 SE Evangeline Thruway, Lafayette, LA 70508 can get you a reliable Journey today! WHEELS: 17 X 6.5 ALUMINUM (STD), TRANSMISSION: 6-SPEED AUTOMATIC 62TE (STD), TIRES: P225/65R17 BSW TOURING (STD), QUICK ORDER PACKAGE 29P -inc: Engine: 3.6L V6 24V VVT, Transmission: 6-Speed Automatic 62TE, Black Finish I/P Bezel, Bright Side Roof Rails, Uconnect Voice Command w/Bluetooth, Front Fog Lamps, Bluetooth Streaming Audio, Power 2-Way Driver Lumbar Adjust, Integrated Roof Rail Crossbars, Leather Wrapped Steering Wheel, Sirius Satellite Radio, 1-Yr SiriusXM Radio Service, For More Info, Call 888-539-7474, Leather Wrapped Shift Knob, Highline Door Trim Panel, Automatic Headlamps, Premium Interior Accents, Remote Start System, Remote USB Port, Bright Belt Moldings, Power 8-Way Driver Seat, Security Alarm, Security Group, Uconnect Hands-Free Group, MANUFACTURER'S STATEMENT OF ORIGIN, ENGINE: 3.6L V6 24V VVT (STD), COMPACT SPARE TIRE -inc: Tire Carrier Winch, BLACK/LIGHT GRAYSTONE, PREMIUM SEATS W/SUEDE INSERTS, BILLET CLEARCOAT, Wheels: 17 x 6.5 Aluminum. This Dodge Grand Caravan has a powerful Regular Unleaded V-6 3.6 L/220 engine powering this Automatic transmission. *This Dodge Grand Caravan SXT Has Everything You Want *Vinyl Door Trim Insert, Variable Intermittent Wipers, Valet Function, Urethane Gear Shift Knob, Trunk/Hatch Auto-Latch, Trip Computer, Transmission: 6-Speed Automatic 62TE, Transmission w/Driver Selectable Mode, AUTOSTICK Sequential Shift Control and Oil Cooler, Towing Equipment -inc: Trailer Sway Control, Touring suspension, Torsion Beam Rear Suspension w/Coil Springs, Tires: P225/65R17 BSW Touring, Tailgate/Rear Door Lock Included w/Power Door Locks, Strut Front Suspension w/Coil Springs, Spare Tire Mobility Kit, Single Stainless Steel Exhaust, Side Impact Beams, Sentry Key Engine Immobilizer, Roof Rack, Remote Releases -Inc: Power Cargo Access. * Visit Us Today *Come in for a quick visit at Moss Used Super Store, 1545 SE Evangeline Thruway, Lafayette, LA 70508 to claim your Dodge Grand Caravan! WHEELS: 20 X 8.0 PREMIUM PAINTED ALUMINUM (STD), TRANSMISSION: 8-SPEED AUTOMATIC (850RE) (STD), TIRES: P265/50R20 BSW AS LRR (STD), QUICK ORDER PACKAGE 2BE -inc: Engine: 3.6L V6 24V VVT UPG I w/ESS, Transmission: 8-Speed Automatic (850RE), MANUFACTURER'S STATEMENT OF ORIGIN, FRONT LICENSE PLATE BRACKET, ENGINE: 3.6L V6 24V VVT UPG I W/ESS (STD), BLACK, LEATHER SUEDE BUCKET SEATS, BILLET CLEARCOAT, Wheels: 20 x 8.0 Premium Painted Aluminum. This Dodge Durango has a strong Regular Unleaded V-6 3.6 L/220 engine powering this Automatic transmission. * Experience a Fully-Loaded Dodge Durango GT *Urethane Gear Shift Knob, Uconnect w/Bluetooth Wireless Phone Connectivity, Trunk/Hatch Auto-Latch, Trip Computer, Transmission: 8-Speed Automatic (850RE), Transmission w/Driver Selectable Mode and Sequential Shift Control w/Steering Wheel Controls, Towing Equipment -inc: Trailer Sway Control, Tires: P265/50R20 BSW AS LRR, Tire Specific Low Tire Pressure Warning, Tailgate/Rear Door Lock Included w/Power Door Locks, Systems Monitor, Streaming Audio, Steel Spare Wheel, Speed Sensitive Variable Intermittent Wipers, Side Impact Beams, Short And Long Arm Front Suspension w/Coil Springs, Sentry Key Engine Immobilizer, Roadside Assistance/9-1-1 Call Emergency Sos, Remote Releases -Inc: Power Cargo Access and Power Fuel, Remote Keyless Entry w/Integrated Key Transmitter, Illuminated Entry and Panic Button. * Visit Us Today *Treat yourself- stop by Moss Used Super Store located at 1545 SE Evangeline Thruway, Lafayette, LA 70508 to make this car yours today! WHEELS: 20 X 8.0 ALUMINUM (STD), TRANSMISSION: 8-SPEED AUTOMATIC 8HP70 -inc: Auto Leather Wrapped Shift Knob, 230MM Rear Axle, Tip Start, TIRES: P245/45ZR20 BSW PERFORMANCE (STD), QUICK ORDER PACKAGE 28W R/T SHAKER -inc: Engine: 5.7L V8 HEMI MDS VVT, Transmission: 8-Speed Automatic 8HP70, Dash Plaque, Underhood Shaker Decal, Shaker Graphics, MOPAR Shaker Intake, Leather Performance Steering Wheel, For More Info, Call 800-643-2112, Rear Black Spoiler, 1-Yr SiriusXM Radio Service, Sport Suspension, Performance Steering, Goodyear Brand Tires, High Performance Brakes, High Speed Engine Controller, ParkView Rear Back-Up Camera, Dodge Performance Pages, ParkSense Rear Park Assist System, Black Grille w/Bezel, MOPAR Shaker Hood, Instrument Panel Satin Silver Bezel, Black Fuel Filler Door, Shaker Package, Challenger Script Grille Badge, ENGINE: 5.7L V8 HEMI MDS VVT, DRIVER CONVENIENCE GROUP -inc: Universal Garage Door Opener, Remote Start System, Blind Spot & Cross Path Detection, Power Multi-Function Foldaway Mirrors, High Intensity Discharge Headlamps, BRIGHT WHITE CLEARCOAT, BLACK, CLOTH PERFORMANCE SEATS, Window Grid Antenna, Wheels: 20 x 8.0 Aluminum. This Dodge Challenger has a dependable Regular Unleaded V-8 5.7 L/345 engine powering this Automatic transmission. *These Packages Will Make Your Dodge Challenger R/T Shaker The Envy of Your Friends *Variable Intermittent Wipers, Valet Function, Trunk Rear Cargo Access, Trip Computer, Transmission: 6-Speed Manual Tremec, Tires: P245/45ZR20 BSW Performance, Tire Specific Low Tire Pressure Warning, Systems Monitor, Streaming Audio, Steel Spare Wheel, Smart Device Integration, SIRIUSXM Satellite Radio, Side Impact Beams, Short And Long Arm Front Suspension w/Coil Springs, Sentry Key Engine Immobilizer, Remote Releases -Inc: Power Cargo Access, Remote Keyless Entry w/Integrated Key Transmitter, Illuminated Entry and Panic Button, Rear-Wheel Drive, Rear Cupholder, Radio: Uconnect 5.0. * Visit Us Today *A short visit to Moss Used Super Store located at 1545 SE Evangeline Thruway, Lafayette, LA 70508 can get you a reliable Challenger today! WHITE KNUCKLE CLEARCOAT, WHEELS: 20 X 8.0 GRANITE CRYSTAL ALUMINUM (STD), TRANSMISSION: 8-SPEED AUTOMATIC (850RE) (STD), TIRES: P245/45ZR20 AS PERFORMANCE (STD), QUICK ORDER PACKAGE 29H -inc: Engine: 3.6L V6 24V VVT, Transmission: 8-Speed Automatic (850RE), MANUFACTURER'S STATEMENT OF ORIGIN, ENGINE: 3.6L V6 24V VVT (FFV), ENGINE: 3.6L V6 24V VVT (STD), BLACK, CLOTH PERFORMANCE SEATS, Window Grid Antenna. This Dodge Charger has a strong Regular Unleaded V-6 3.6 L/220 engine powering this Automatic transmission. *This Dodge Charger GT Has Everything You Want *Voice Recorder, Vinyl Door Trim Insert, Valet Function, Uconnect w/Bluetooth Wireless Phone Connectivity, Trunk Rear Cargo Access, Trip Computer, Transmission: 8-Speed Automatic (850RE), Transmission w/AUTOSTICK Sequential Shift Control w/Steering Wheel Controls, Tires: P245/45ZR20 AS Performance, Tire Specific Low Tire Pressure Warning, Systems Monitor, Streaming Audio, Steel Spare Wheel, Sport Tuned Suspension, Sport Leather/Metal-Look Steering Wheel, Speed Sensitive Variable Intermittent Wipers w/Heated Jets, Smart Device Integration, SiriusXM Guardian Tracker System, SiriusXM Guardian Emergency Sos, Side Impact Beams. * Visit Us Today *Treat yourself- stop by Moss Used Super Store located at 1545 SE Evangeline Thruway, Lafayette, LA 70508 to make this car yours today!